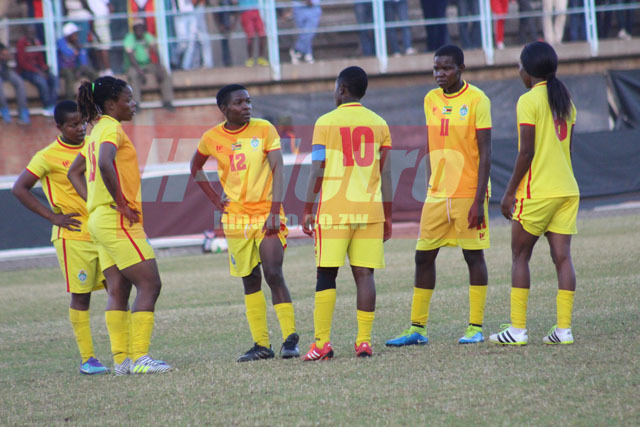 MIGHTY Warriors coach Sithethelelwe Sibanda admits they have a lot to improve despite winning 1-0 over Namibia in their opening COSAFA Women’s Championship encounter. Though Zimbabwe had a number of experienced players, they struggled to unlock the Namibia defence. The 17th minute goal by Marjoury Nyaumwe secured the Mighty Warriors a winning start at the tournament. “We still have a lot to improve on but at the end of the day we showed character by grabbing points, will have done well. “We struggled on a lot of situations but I am happy we managed a win,” said Sibanda. While they promise work on grey areas, Sibanda is happy that they managed to find the back of the net. “It was a great game from the Namibian team and they showed a lot of character especially the second half which was a tough one. “At the end of the day I am happy with the result, at least it is well-done to my players who managed to maintain our tactical shape in defending to deny them a goal. “Overally Namibia played a very good game,” she said. Namibia’s Eddelsisingh Naris was voted player of the match. Mighty Warriors will play guests Uganda, who recorded a 4-3 win against Swaziland in their opening match, today.